I have been a tutor for 6 years, beginning as a private tutor in high school and continuing as a peer tutor in the Academic Center for Excellence at Florida State University. I recently graduated from FSU with a bachelor's degree in Biological Science but have experience tutoring many students in courses outside of biology including mathematics and physics. My approach to tutoring is that every student is capable of understanding what they are learning in class, sometimes we just need to hear it or see it differently. That is what I aim to help students do! I have been successful in mathematics courses from Algebra 1 in middle school all the way to Calculus 3 in college. 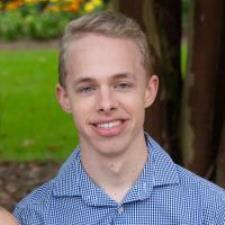 I have experience in tutoring mathematics as a private tutor and more while working at the FSU tutoring center. Math can be difficult, but I show students methods and tips to make it easy! Having earned a Bachelor's degree in Biology, I am very familiar with the material that students in biological and physics courses are learning because I've worked with it over and over again at the collegiate level. I am very passionate about science and love tutoring it! A lot of science requires plain old memorization, so I help students prioritize information and give tips to studying effectively. Everyone is smart and my goal is to help students unlock their potential, feel good about their learning, and enhance their academic experience. Please contact me if you are looking to improve. I am here to help! Andrew B is an excellent teacher and was (thankfully) very patient. He has truly improved my knowledge of AP physics after just a few lessons! He is very friendly and responds quickly!